Three weeks ago, with very mixed emotions, I tendered my resignation as Superintendent of SD27 to the Board of Education. For both professional and family reasons, I have accepted a position as Principal of Mennonite Educational Institute (MEI) Secondary, an independent Christian school in Abbotsford, BC. MEI has three schools on one campus in Abbotsford, and I will be the Principal of the Grade 9-12 high school, beginning in September. My three sons will also attend the new schools, and my daughter will not be far away at Trinity Western University. My wife, Tracey, looks forward to continuing her career as a registered nurse with the Fraser Health Authority. It has been an honour to work with the Board of Education, district staff, principals, vice principals, teachers, support staff, parents and students over the last four years as Superintendent and with many of you as colleagues in the seventeen years I was a teacher and administrator before that. I thought about naming names in my last blog post as Superintendent, but I am grateful to so many of you that I would most certainly have forgotten someone important. I have been asked by many people over the last couple of weeks about what I will remember most about my time as Superintendent. It has been an easy answer to say that I will most cherish my many friendships and professional relationships with colleagues. You have impacted my life in such positive ways. It would take someone less than five minutes in our school district to meet wonderful people who care about students. I came across those types of people in spades in my job every single day. My family and I are very excited about the adventure ahead, but SD27 is all we’ve known until today, and so we enter the next phase of the adventure with a lot of sadness too. 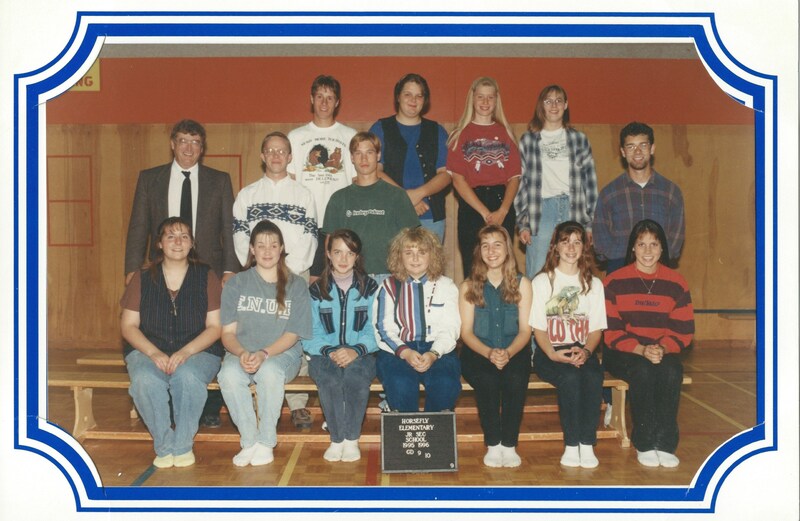 As I wrote when my daughter graduated from Lake City Secondary two years ago, my wife and I are grateful to so many people who have impacted our children in their schools and in their extra-curricular activities over the past twenty years. “It takes a village” certainly applies in the case of our family. To those of you who have not fully invested in your schools or communities due to time constraints or other reasons, I would fully recommend diving in. I am confident that you will find that your investment will come back to you tenfold as others invest in the lives of you and your families. You belong to a wonderful school district. Keep doing what you’re doing for the good of our students. If you’ve ever had the good fortune to visit London, England and take a ride on their subway system (more commonly known as “the Tube”), you will be very familiar with the caution signs and audible warnings for all passengers to “mind the gap”. The “gap” in this case refers to the spatial gap between the train door and the station platform. Everyday passengers on the Tube probably don’t even hear the warnings because they’ve heard the same warning thousands of times. Tourists like me are more likely to take note of the warnings and be a little more deliberate as we take that last step on to the train. In education, we commonly focus on successes and strengths as opposed to deficits. It’s certainly a philosophy to which I ascribe. That being said, while we look at our students and ourselves from the “glass half full” mindset, this does not mean that we shouldn’t be very cognizant of the deficits or the gaps in our learning. From a district point of view, we probably don’t celebrate our successes nearly enough. With newsletters, celebration assemblies, “Student of the Week” awards, and lists of “5 Great Things”, our schools generally do a better job of celebrating success than we at the district level do. In this regard, we have not been diligent enough in publicizing and celebrating some remarkable improvements in our six-year completion rates for First Nations students. In 2010/11, only 38% of our First Nations students were graduating within six years of entering secondary school, while our non-Aboriginal students were graduating at a 78% rate during the same year. Three years later, in 2013/14, 66% of our First Nations students were graduating within six years of entering secondary school, while our non-Aboriginal students were graduating at a 88% rate during the same year. Last year, in 2014/15, those numbers were at 62% for our First Nations students and 87% for our non-Aboriginal students. While the gaps have certainly closed, we still have plenty of work to do. We all long to work in a district and live in communities where the gaps are no longer noticeable. With an objective of minding the gaps, our most recent Superintendent’s Education Liaison Committee took a closer look at the achievement rates of our First Nations students and some promising practices that some of our teachers are using to engage their students. The meeting began with a presentation on the district’s achievement data from Jerome Beauchamp, our Director of Instruction – Education Services and Dave DeRose, our District Principal – First Nations Education. Needless to say, the lower achievement levels of our First Nations boys should be of concern, but it should not be seen as insurmountable. As Jerome Beauchamp so aptly pointed out during our discussion, with approximately 50 First Nations students of each gender in each grade, every single student that we can support towards school completion will be a 2% improvement. District and school leaders spend more time mining this kind of data. To their credit, the teachers are the ones in the trenches, and they’re the ones who work with individual students. Those students aren’t numbers. They’re young people with their own stories, their own strengths, and their own challenges. After the sharing of the numbers, teachers, principals and education coordinators from our local First Nations communities shared some of their best practices. Not surprisingly, these strategies would boost success rates for ALL students, not just one demographic. Moreover, we know that what will work for our at-risk students will also work for all students. Connecting with students as individuals. Building relationships and holding students accountable. Communicating with students via social media and/or cell phones. Connection with students/families through community events. Fair and equal may be different based on a student’s environment/ circumstance. This matters in a teacher’s approach to a student. Rather than focusing on a student being late – recognize their effort to attend. Use positive terminology in schools – “welcoming bell” rather than “late bell”. Be mindful of students who have come from small schools and may have different learning styles. Recognize that the school system may need to be changed rather than the child. Schools need to learn cultural sensitivity. More opportunities are needed for teachers to collaborate about effective teaching strategies. Formal mentorship program for staff. Personalized learning – Use a student’s strengths. Open assemblies and meetings with an acknowledgement of First Nations territory. No locked classroom doors – Open, welcoming environment. Offer structured boarding situations for students coming to Williams Lake for school, enabling them to connect with other students and partake in planned activities. Programs to bring parents or other significant people to school. This helps community members become comfortable in the school. The importance of being sensitive to students who aren’t living with their families. Students may be dealing with issues outside of school that make classroom learning very difficult. Flexible schedules – Students being able to work at their own pace. By understanding that a gap exists, we will more intentionally work towards minding the gap. If we all work towards that common goal, the gap should be less noticeable. All of the student achievement data used in this post and much, much more can be found in the district’s “How Are We Doing?” Report. When I became the Principal of Likely School in 1999, I learned a few things about engaging with parents and the community. Please note that I didn’t say I learned quickly, but I learned eventually. Little did I realize when I first started sending home our school newsletters that there were many community members who wanted to receive the newsletters too. These community members did not have children in the school. They just wanted to stay in the loop. From these requests, I quickly made the connection that our school newsletter was the also the community newspaper. That seemed like an opportunity I couldn’t pass up. Long before blogs and vlogs were in vogue, I added what I called an “editorial” to my weekly newsletters. These editorials provided me with an opportunity to talk about significant events happening at the school, give praise to specific staff or students, or to wax poetic about the educational theme of my choice. While these newsletters were mostly one-way communication, I remember many times when a parent or a community member at the general store would give me their two bits about that week’s topic. Another way I engaged with the community was my own version of “Guess Who’s Coming to Dinner?” As a commuter, I stayed in Likely into the evening a couple of times a month for meetings. A couple of staff members were extremely kind and always invited me to their houses for supper. This too became another opportunity to build relationships. It also gave me another idea. Maybe other families in the community would be willing to have the principal over for dinner? Whenever I was going to be in town over the supper hour, I added a little note to my newsletter, informing the entire community that I was available to be a guest at their dinner table. Yes, these dinner invitations became every student’s worst nightmare! At the same time, the breaking of bread with families in the community deepened relationships, and when the next difficult phone call home needed to be made, there was already a level of trust developed. Last week, we convened our second meeting of the Superintendent’s Education Liaison Committee. This month’s theme was parent and community engagement with those in attendance sharing a variety of examples of parent and community engagement in their classes and schools. Ken Matieshen, District Principal – Information Technology, shared about the new Parent/Student module being rolled out in MyEducationBC. This module will be used in both PSO and LCSS as a trial with approximately 25% of the teachers at these schools currently involved. It is hoped that this module, showing attendance, marks, assignments, and more, will encourage interaction between teachers, parents and students. Details and training videos can be found on the SD 27 website. For those with students in elementary school, an elementary module is expected in the future following recommendations from the provincial committee working on MyEducationBC. Tatla Lake student Ronya Wittwer holds up one of the latest stories of “Hoofprints in History”. Principal Clare Gordon and staff member Cyndy Abbott from Tatla Lake School shared about a project that has been ongoing for decades at the school. “Hoofprints in History” is a project which sees students use technology to interview, record, and write the stories of local residents, creating a written record of the area. These stories are then published and are available for anyone to purchase. Lake City Secondary students and community members perform together at a recent Medieval Market. The Medieval Market has been in existence for approximately 30 years. Kim Nowotny, Counselor from Lake City Secondary, shared about the annual market and the ways it engages the community, students, and staff. The market began with employees of the Williams Lake Library before being transferred to the Columneetza PAC and teachers about 15 years ago. The numerous spin-off benefits include the positive interaction between Lake City Secondary students, staff, vendors entertainers and customers. Much of the community joined Dog Creek school at their sledding day this winter. Jane Hancock, the Principal of Dog Creek School, spoke to the culture of collaboration that occurs at Dog Creek with the community and the school. She noted that the community is the heart of the school and the school is the heart of the community, involving each other in all activities. School trips include invitations to the community encouraging families to build memories. Monthly meals are shared with parents and community members, usually prepared by staff. Dog Creek seeks to be a school where community members feel comfortable going into the school for any reason. While teachers Jenn Routtu and Melissa Porter still use student agendas, daily Facebook updates keep parents in the loop about what happened in the class that day. Teacher Jenn Routtu displayed the Facebook page that she and her partner teacher, Melissa Porter, have created for their class. Jenn spoke to the many benefits of the page including communicating with parents on an ongoing, informal basis. She also noted the steps that were taken to ensure security and confidentiality with the page. Both teachers have agreed that this is a way for parents to always know what is going on in their child’s class, thereby minimizing the number of meetings that need to occur and the number of times students need reminders. Principal Rick Miller shared with us Mountview Elementary’s website. Rick spoke to the positive response he has received from parents. The site includes a photo gallery, school newsletters, links to a variety of information and upcoming events along with many other items. Principal Holly Zurak also presented Horsefly School’s website. Horsefly’s website includes 5 Great Things and class pages for each division at the school. While the school website receives many visitors, parents in the community still enjoy receiving a hard copy of the school’s weekly newsletter. There are probably as many ways to engage with parents and the community as there are people in our communities. In an increasingly digital world, face-to-face meetings and phone calls remain a very effective way to communicate. Sharing a meal across the table from someone has not lost any of its significance. For others, accessing information immediately from their cell phone is the most effective way for them to engage with teachers and schools. The important part is that we are all constantly trying to engage with parents and community members. Research is clear that if a parent is engaged in their child’s education, the child is much more likely to learn. If you know of other effective ways for teachers and schools to engage with parents and community members, please make a comment below. Watch for next month’s Superintendent’s Education Liaison Committee topic coming soon to an email near you. Recently, six students from teacher Shannon Rerie’s Marketing 11/12 class at Lake City Secondary attended the 2016 Junior Achievement BC Innovation Jam in Vancouver. At the event, the students were presented with a challenge to design technology to deal with a social or environmental issue. The LCSS students chose to deal with teen depression and designed an app in that regard. They were coached by the CEO of Nicola Wealth Management, Jason Nicola. They presented to a panel of four judges and an audience of about two hundred people. LCSS students Chloe Storoschuk, Ty Feldinger, Carrie Rojas, Nathan Snowball, Emerson Wiebe and Taylor Nolin, present at the 2016 Junior Achievement BC Innovation Jam recently in Vancouver. and Carrie Rojas network with some of BC’s brightest young minds. After lunch the students listened to two keynote presentations. The first was by Daniel Dubois, who is 25 and the CEO of shareshed.ca, which is a company where people can share outdoor gear and equipment. Daniel invented his first company at the age of 12. Students then got to hear Reid Robinson who is the social promotion manager at Hootsuite. I also had the opportunity to visit their Marketing class a few weeks back as the students presented their semester-end projects in a “Dragons’ Den” or “Shark Tank” format. As teams of students presented their entrepreneurial ideas, they were expected to communicate well, work together as teammates, and think on their feet while we asked them questions and presented our offers. The students took it seriously, and I was impressed with their preparation and quick thinking. When the Ministry of Education refers to the incoming curriculum, they cite that “students will get hands-on experience in collaboration, critical thinking and communications”. These students have definitely had the chance to do just that! We just passed that time of year when I usually publish my annual Christmas photo album. While I won’t be sharing photos from all of our schools this year, I do have a different photo album of sorts to share with all of you. On Tuesday, December 8th, School District No. 27 was fortunate to welcome Minister of Education Mike Bernier and Cariboo-Chilcotin MLA Donna Barnett to our district. It was a whirlwind of a day, and the Minster and MLA Barnett visited and toured as many schools and programs as we could. Our goal was to share many positive aspects of our district while still finding ways to also share with the Minister our challenges. The day began with a visit to Scout Island where students from Teacher Kim Zalay’s Lake City Secondary Grade 7 Outdoor Education Academy shared their learning with the Minister on a mini-tour of the island. At Marie Sharpe Elementary, the Minister’s visit began by listening to the school’s fiddle group, led by Ingrid Johnston. The volunteer narrator was Principal Calvin Dubray. A Marie Sharpe student gave Minister Bernier a drum as a gift as Mary Harry drummed with Teacher Lorene Fennell’s students. Cariboo-Chilcotin MLA Donna Barnett joined in the drumming action. Reading Strategies Teacher Leader Lori Kelly and her Reading Recovery Continuing Contact teachers welcomed the Minister as they observed and discussed Teacher Rae Perry’s lesson with a student behind the two-way glass. At Lake City Secondary’s Columneetza Campus, Teacher Tim Westwick displayed the school’s CNC Plasma cutter to Minister Bernier, MLA Barnett, and Board of Education Chair Tanya Guenther. LCSS Teacher Nick MacDonald and a student demonstrate the 3D printer in the Tech Ed class. SD27 Coordinator of Career Programs, Dave Corbett, joins in on the discussion. The Minister capped off his visit to Williams Lake schools by visiting Cataline teacher Steve Dickens and his students who participate in a year-long intergenerational program at the Williams Lake Seniors Village. Trustees Guenther and Christine Dyment look on in the background as the Minister asks some questions about the crib game taking place. The Minister met with the SD27 Board of Education for a lunch meeting about the district’s successes and challenges. PSO Secondary teacher Chris Leflufy and five of his auto mechanics students shared their recent projects with the Minister. This was also a chance to tour the Minster through our new auto shop at PSO. The Minister even had a chance to show off his ball hockey skills during a quick impromptu visit to PSO teacher Sean Glanville’s PE class in the newly renovated gymnasium. 100 Mile Elementary teacher Tammi Varney’s Kindergarten students were working on shaping play dough snowmen and decorating them with accessories they found outside. Teacher Lacey Venner’s Grade 4/5 French Immersion students from 100 Mile Elementary were working in their guided math groups as Trustee Chris Pettman joined the Minister for the 100 Mile portion of the tour. At the last stop of the day, 100 Mile Elementary teacher Sally Morgan’s Grade 6/7 French Immersion class asked the Minister some questions about his job and some educational issues they are facing. Like all of the other administrators involved in the day, Principal Donna Rodger (centre) was a very gracious host. Our thanks to Minister Bernier for making it a top priority to visit every school district in B.C. It was a great opportunity for us to be able to host him and MLA Barnett for an entire school day. Thanks also to Secretary Treasurer Kevin Futcher and Trustees Guenther, Dyment, and Pettman who joined us for different portions of the school and program tours. I am grateful to all of the principals, vice principals, teachers and community members who helped to make the day so successful. Special thanks go to all of the students who did School District No. 27 proud all day. Have a wonderful start to the new calendar year! The Third Annual Poverty Challenge and Silent Auction is coming up at the Signal Point Gaming Centre banquet room this Saturday, November 21st starting at 7 p.m. This event continues to be a great way to support the Williams Lake Salvation Army Food Bank. There will be appetizers and more than 125 items on the auction block generously donated by 92 local businesses, says Grant MacLeod, former School District 27 custodian and IUOE President, who is the chief organizer behind the annual fundraiser. Last year, the event raised $9,200 for the food bank. This year, there will be auction items with values from $10 right up to $50, $100 and up to over $500. Some of the higher end items this year include a signed Carey Price jersey, a helicopter ride, a gas outdoor fire pit for your deck or yard and a portable gas fire pit, as well as some small appliances including specialty coffee makers. There are also about 50 gift certificates for businesses, gift baskets and gift certificates for local spas, gift certificates for local restaurants and more. Tickets are $20 in advance only and are available at Lake City Secondary, Williams Lake and Columneetza campus offices, and the School District No. 27 board office. Doors open at 6:30 p.m. You can buy a table of 8 if you are planning to attend as a group. My thanks to Grant MacLeod, his wife Cathy, and all of the other staff who volunteer their time to make this annual event such a success. Last Thursday evening, the Board of Education and senior leadership staff met for the first time to begin formulating a multi-year strategic plan. Strategic planning is the process of setting goals, deciding on actions to achieve those goals and mobilizing the resources needed to take those actions. A strategic plan describes how goals will be achieved through the use of available resources. Of course, strategic planning can’t be done in a vacuum. Historical data must be reviewed. How are our students actually doing? What factors are leading to student success? What challenges are hindering success? How do we even define student success? Academics, social-emotional, career preparation, global citizenship …? The list goes on and on. What will our priorities be moving forward? As part of the Board’s strategic planning, we reviewed and will continue to review all of the information gathered in our ThoughtExchange process last spring. All of the information gathered can be viewed on our School District No. 27 website at http://sd27.thoughtexchange.info/ Overall, there were 767 participants in the engagement process, 2,231 individual thoughts and 40,020 stars assigned in the prioritizing exercise. WHAT ARE SOME CONCERNS YOU HAVE ABOUT OUR SCHOOL/DISTRICT THIS YEAR? “Morale of teachers and other school staff is lowering. I, myself, have experienced teacher burn-out and had to go on disability. Teachers care and when they can’t fill needs of their students they are ‘between a rock and a hard place’. “Staff work so hard for their students. Staff in our school work very hard to support each child and their needs as best they can. With minimal additional support spread very thinly in each class amongst the students, teachers are not always able to support their students as they deserve. I think teachers feel many emotions around this. WHAT ARE SOME THINGS YOU APPRECIATE ABOUT OUR SCHOOL/DISTRICT THIS YEAR? “The teachers at … are excellent in ‘connecting’ with students. They demonstrate concern and a willingness to help students advance their education. A teacher’s approval is still a mighty motivator of academic performance, I think. WHAT ARE SOME OTHER THINGS YOU WOULD LIKE TO SAY ABOUT OUR SCHOOL/DISTRICT THIS YEAR? Education is not as easy as it looks. All of us need to work together. As the strategic planning process continues, we will be engaging face-to-face with staff, students, and communities over the coming months. We will publicize these meetings as more information becomes available. Before the Board’s Strategic Planning session last Thursday evening, I had the pleasure of spending some time with our wonderful students. Cheyenne Shoults and Kassandra Harrison sing and play “Travelling Soldier” as part of Lake City Secondary’s guitar class presentation, “War Is Over (If You Want It)”. The Lake City Secondary guitar class presented a very moving performance of “War Is Over (If You Want It)” in the week before Remembrance Day. It was a pleasure to witness the talents of teacher Brent Morton’s students as they used music and commentary to present a powerful message. Spending some time reading with students in Mrs. Farkas’s K-2 class at Horsefly School. The best part of my job! During the annual Rural School Volleyball Tournament, I spent some time in Kathy Farkas’s Kindergarten-Grade 2 class. When I saw one of the young students reading a book near the classroom library, I jumped at the opportunity to have her read to me. Then it was my turn to read to her. It didn’t take long for others to join the party. An Alexis Creek student prepares to serve in the annual rural school volleyball tournament at Horsefly School. The annual gathering sees students in grades 4-10 compete in separate intermediate and senior tournaments. Students in the rural secondary online program also have a chance to spend some face-to-face time with their online teachers who spend their day in Horsefly too. New this year were student teams from Marie Sharpe Elementary and Distributed Learning. Many thanks go out to Horsefly Principal Holly Zurak, her staff, parents, and community members who do such a great job of hosting and feeding everyone each year. BC’s New Curriculum … Time to get started! As the school year starts today for teachers and tomorrow for students, it’s exciting to be able to share recent news from BC’s Ministry of Education. The new curriculum for Kindergarten to Grade 9 is now available for use, while the new curriculum for Grades 1o to 12 is not too far off. BC’s Ministry of Education has spent a number of years working together with education stakeholders to develop the guiding principles for the new curriculum. 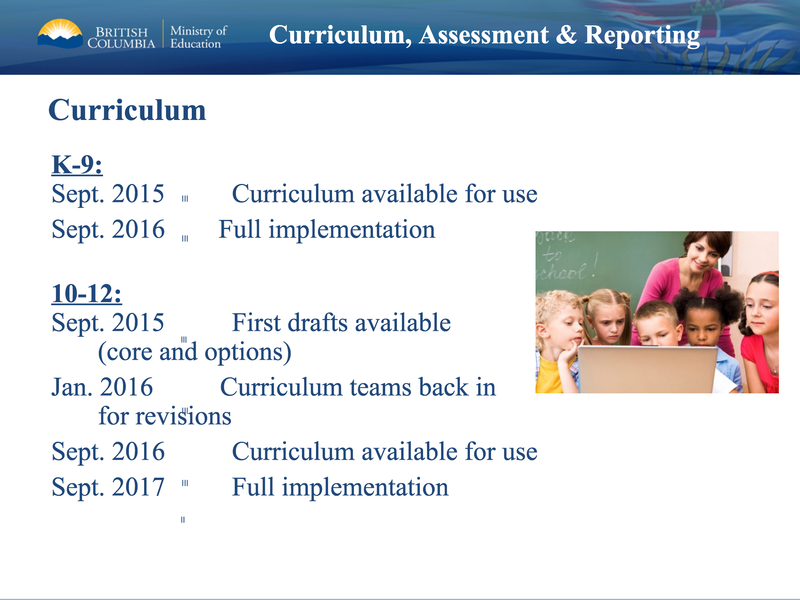 As you can see, teachers will not be expected to begin fully implementing the new Kindergarten to Grade 9 curriculum until September 2016, but the curriculum is available for teachers to begin using now. The draft curriculum for Grades 10 to 12 is available for teachers to begin using with the ability to provide feedback to the Ministry of Education’s curriculum teams as they make revisions later this school year. At the core of all of the new curriculum is that we teach students. Of course, all teachers are expected to teach basic skills to our students, but this new curriculum clearly identifies that our main job is to be responsive to the students in our classrooms. Who are our students? What do they already know when we first meet them? What are their strengths? What challenges do they face as learners? How will we move them forward in their learning for the short time they are in our classrooms? Whether we have twenty-two Kindergarten students, twenty-four primary students, thirty intermediate students, 120 students in a range of secondary grades, or eighteen students in a K-10 class, the immense challenge remains the same as we spend the term, semester or whole year with them. How can we motivate each and every student to want to learn? How can we tap into their personal interests and show them that what they are learning has real-life implications? How can we prepare them for life outside of our classrooms? In an ever increasing digital world where most of our students have all of the information they could ever want or need in their pockets, these students need teachers and learning communities more than ever. While our goal is to personalize their learning to make that learning meaningful and engaging, this does not take teachers out of the equation. Our students need us to teach them basic skills. They need us to teach them how to think critically and how to communicate what we are learning to others. They need us to learn how to get along with others and how to work through their differences when they encounter someone with whom they may not always agree. One need only spend a few minutes reading the “Comments” section in any online article to realize that our students need to learn how to interact with one another in this digital world in a responsible way. You can find much more information about BC’s new curriculum here. (You can also find more information about changes coming in assessment by clicking on the link.) Whether you are a teacher, parent, or student, I encourage you to read more about the new curriculum over the coming months. If you are a teacher and you have been waiting for permission to begin using the new curriculum, the Ministry of Education and School District No. 27 have given you that permission. As Kindergarten to Grade 9 teachers, use the 2015/16 year to make the shift towards the new curriculum before the curriculum is fully implemented in September 2016. My best to all of you as you begin the 2015/16 school year! We have come to the end of a school year that began with so much uncertainty and turmoil. For so many reasons, when a school year begins in such a fashion, it brings with it even more challenges than an average school year would have. In spite of these challenges, we have continued to provide our students with a top-notch education. The end of May and the month of June are always crazy, busy times for me as I and others represent the district at graduation ceremonies, First Nations Role Model Celebrations, retirement dinners and awards assemblies. These traditional end-of-year celebrations are on top of all of the other monthly meetings that I attend. While it is very busy, it is also a chance in many ways to reflect on the year gone by. One such year-end event was PSO Secondary’s final musical concert of the year a couple of weeks ago. With student choir, band, and small group performances, the school gave a chance for many of their students to show off their immense talents. 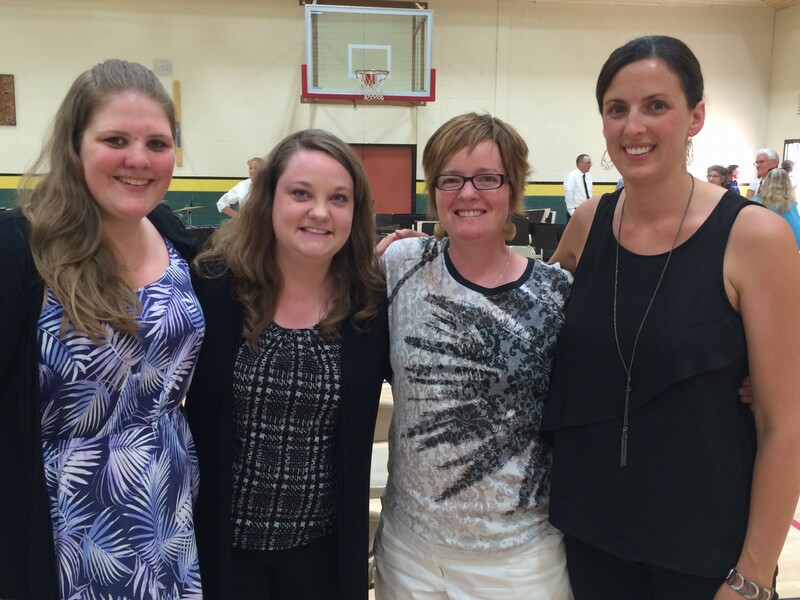 The concert also gave one final opportunity for our four district music teachers – Vanessa Toews, Jasmine Kreschuk, Dena Baumann and Laura Eilers – to collaborate and support each other in another community performance. For a few years, these teachers have found a way to shrink the gap between the north and south ends of our district and are one shining of example of many of our educators who are supporting each other, and in turn, they are supporting our students. Sadly, Vanessa will be leaving the district this summer, but I am confident these relationships will continue. At this time of year, we also say goodbye to so many of our other colleagues with a number of retirements and others moving on to other districts. We are grateful to all of you for the legacy you have left and the students you have impacted in School District No. 27. We also said goodbye to a school this week as the Board of Education officially closed Wildwood Elementary after continued flooding and mould issues. At the public forum last week, parents and community members from Wildwood spoke passionately about their students, their staff, and their school culture. They wanted the Board and District Staff to know what closing their school would mean to their families and their community. While it is always sad to close a school, it was also reassuring to hear the parents speak about all that they will miss in a school that is filled with decades of good memories. Many educators, parents, community members and students have done a lot of things right at that school for a long time. As many of you pack up your things and head off for the summer, you can feel great about a job well done again this year. Thank you for your dedication to the students of School District No. 27! Enjoy your summer! I look forward to seeing you all again in September. I have just completed twenty years of employment in School District No. 27. 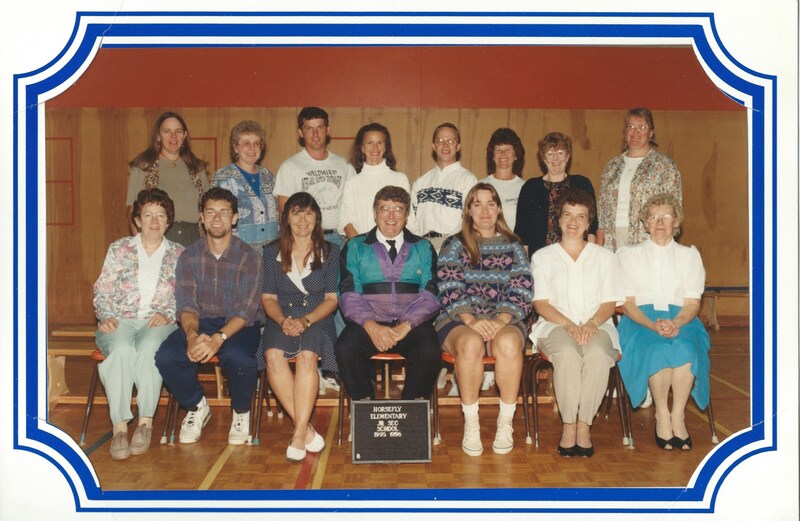 As a recently hired teacher-on-call in late April 1995, I was dispatched to PSO Secondary for my first day of substitute teaching. I’m fairly certain I was subbing in a social studies class and can remember vividly watching the first hour of the movie “Dave” four times that day. Mercifully, PSO had a double block before and after lunch, so I did get to see the last hour of the movie once that day. Also mercifully, “Dave” was a pretty decent flick. All in all, it wasn’t a bad first day. As I reflect on my years as an educator in this district, I have learned a great deal and have so much still to learn. If only I had some of the wisdom back then as I do now, things maybe could have gone a little smoother along the journey. Then again, many will read that sentence and wonder if I’ve gained any wisdom at all along the way. In a similar spirit to some letters I’ve read recently on The Players’ Tribune, I thought I would write a letter to the young teacher just before he first climbed into his car to drive to 100 Mile House that day in the spring of 1995. Early phone call this morning from Central Dispatch? 100 Mile, eh? Get used to it, pal. Over the next few years, you’ll apply for many jobs closer to home in Williams Lake, but your first day in School District No. 27 is a sign of things to come as you’ll be commuting at least an hour a day every day for the next nine years. The drive will make for a lot of early mornings, late evenings and less time at home, but your experiences at those schools will be worth the trip every day. Your white VW Jetta will also be a very loyal companion. Another piece of advice on commuting a long ways to work every day. Don’t start drinking your coffee immediately upon leaving home in the morning. Sadly, your bladder will not be able to hold out that long. It will be important to choose a landmark at which it will be safe to start drinking your coffee. It will be key in helping you to avoid those embarrassing stops mere minutes before arriving at school, especially when you’re carpooling! As for carpooling, there’s some fun to be had. In a few years, phrases like “the coasting game” and “behavioural experiments on school bus lineups” will remind a few people of some pretty funny stories. By the way, you’re commuting ten to fifteen years early if you really wanted the most pleasurable driving experience. In 2002, satellite radio is going to come along, but you’ll just about be done your long commutes at that point. In 2004, the world will witness the advent of the podcast, but like satellite radio, it will take a few years to catch hold. You’ll have the ability to download radio or internet programs on to a device called an iPod or even on to your phone. What is the internet? Wow, you do need some advice. According to Wikipedia (never mind), “the internet is a global system of interconnected computer networks that link several billion devices worldwide. It is a network of networks that consists of millions of private, public, academic, business, and government networks of local to global scope, linked by a broad array of electronic, wireless, and optical networking technologies”. The technicalities really don’t matter that much. What’s most important is that you know that the internet will change the world in general and education more specifically. Along with the internet comes electronic mail, email for short. Throw in a million different types of communication known as “social media”, and you have a completely different social landscape. Tough for your small brain to imagine right now. Just know that all of it will be your biggest blessing and your biggest curse all at the same time. In a few months, you’re going to get a call from a guy named Jack Orchard. He’s the principal at Horsefly School. He’ll sound a little gruff on the phone and even in the interview you’ll have with him the next day. Don’t be fooled by his no-nonsense manner and dry humour. You’ll learn a lot from him and his Horsefly staff over the next few years. Most of all, you’re going to learn how fun this career can be. 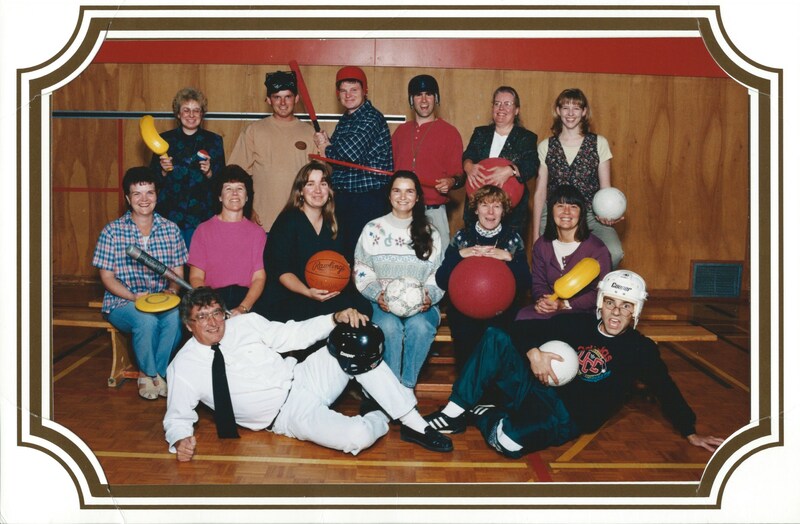 You’ll be teaching secondary electives and PE in your first full-time teaching job. You’ll be converting a staff shower and change room into your first office. Your desk and chair will barely fit into the room while still being able to close the door. Please remember that education has nothing to do with the size of your office. This gig you’ve signed up for is about relationships with your students and your colleagues. Since we’re talking about offices, you’ll be very surprised to learn that you’ll be a school principal in four years. No, it won’t be closer to home, and yes, you’ll still be teaching a lot, but you’ll dive headlong into the administration world. Remember a few months ago when that UBC professor asked which of all your classmates saw themselves as future principals and vice principals. You thought those four students who raised their hands were nuts. Well, they were nuts. Your career journey through the next twenty years will be a pretty interesting one. Each position will be extremely rewarding in its own way. No job in the world will give you more immediate feedback than being a classroom teacher … if you choose to listen. While there will be different levels of responsibility and weight with different positions that you take on, each job will be challenging in its own way. If you wanted an easy profession, you chose the wrong one. As you move into district administrative roles, fewer people will know you as well, but more people will think they know you, and even more will make snap judgments about your character based on your decisions. Don’t let all of this dissuade you from making the right decisions for students. Probably best to develop a thick skin now. In sixteen years, after having been a school and district administrator for twelve years, you’re going to have a chance to be a full-time classroom teacher again. You’ll be more nervous on that first day of school than for any other first day on the job before or after that. That’s right, there’s nothing like putting your money where your mouth is. It will likely be the only time your own children (minor detail, you’ll have four of them) will attend your school. Cherish that year … but please make sure your milk bag makes it back to the office at the end of lunch. The Cataline staff will have no mercy in this regard when your name is mentioned on the P.A. system seemingly every day. Do your best to always maintain a healthy work-life balance. Maybe “life-work balance” is a better way of phrasing that. You’ve got your marriage, your children and your health to consider. Be passionate about your vocation. There will be many bumps along the way. The general public may not always see education the way you see it this morning as you head off to 100 Mile. Don’t let the cynics get you down. You’re going to work with thousands of people over the years who passionately care about children and learning as much as you do. High fives … I mean, fist bumps … I mean, bro hugs all around.